Looking for deeper insight on markets? In tonight’s Closer sent to Bespoke Institutional clients, ahead of tomorrow’s rate decision out of the Fed, we begin tonight’s Closer with a look at interest rates as seen through the 3 month LIBOR and overnight index swaps. We also take a brief look at the movement in industrial metals to see what this could say about the global economy. 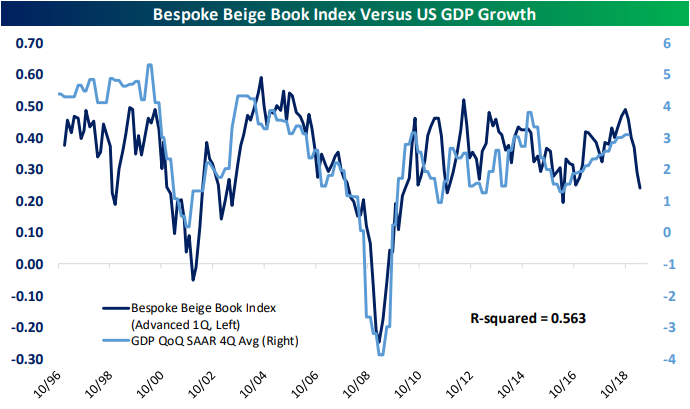 Next, we provide an update of our Beige Book index which has collapsed recently. We then turn to Europe which has seen credit markets lagging versus their US counterparts. With the banking sector being in part to blame for this, we finish with a look at the status of Non-performing loans in the Eurozone.